Jorge Cervantes has had a huge impact on my life and many cannabis growers throughout the years in Nevada. In addition to Ed Rosenthal, he is one of the most influential people in the cannabis industry and one of the reasons we are here today with legal Nevada dispensaries. 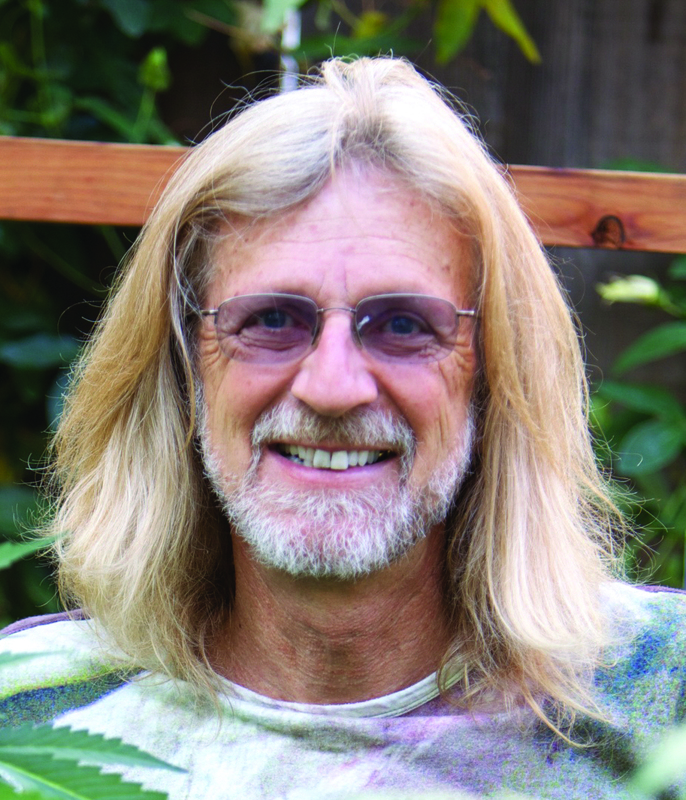 In addition to writing the “Indoor Grower’s Bible”,and “The Cannabis Encyclopedia”, he has written for numerous cannabis publications. In service to the cannabis community, he currently has online growing classes to help bring your growing skills up to speed, so you can work in the industry. JASON S: What is the one lesson that you wish novice growers could master for better yields? JORGE C: Novice growers often forget the basics and try to do too much too fast. Watering and airflow can be big problems, even though they appear to be simple. Over-watering is a common problem, especially when a cold-snap stays for a few nights. Too often irrigation is not cut to compensate for lower water usage. Excess water sits in the soil and causes roots to rot. Air circulation and ventilation are common problems indoors. Indoors, a lack of overall ventilation will slow growth immensely. Lack of air circulation causes growth to slow. Every leaf on every plant should be moving in order for adequate circulation indoors and in a greenhouse. JS: What are your impressions of the Nevada medical marijuana industry & Las Vegas? JC: I was locked up in the Rio hotel most of the time I was there. I was able to tour a couple of large indoor warehouse facilities. The plants looked great. I made several videos that I am posting on my YouTube channel, https://www.youtube.com/user/jorgecervantesmj. Both facilities were very well maintained. Both companies are also following an incredible amount of regulations. They have to account for every leaf! JS: What do you believe the future holds for the cannabis industry? JC: Big changes! As cannabis becomes legal across the US we will see many small legal battles in cities, towns and counties. Cannabis has been illegal for 8 decades and all the regulations need to be changed. It is a learning process. Many people still have the draconian “Drug War” mentality that they find difficult to change. Big producers will also move into the equation. Growers will have to become much more efficient. Farmers who have farmed all their lives are also entering the industry. They know how to grow a lot of cannabis for very little money. Competition is upon us. JS: Is there a cannabis product you would like to see on more shelves of dispensaries? And why? JC: Inexpensive cannabis testing kits. One company, http://www.alpha-cat.org/, makes a thin layer chromatography test for cannabis. I love these tests because you can determine the plant cannabinoid profile of the main cannabinoids for a few dollars and you can make the tests at home. JS: Are there any future technologies coming that will change the cannabis industry? JC: Large-scale cultivation will change the cannabis industry. Industrial harvesting and processing machines are being developed now. Currently it takes 6 people to grow and manage a one-acre marijuana farm. One of my friends, Jerry Norton, from Salem, Oregon grew 100 acres of hemp this year with only three employees. Cannabis growers need to become more efficient in order to compete in the future. JS: You are a hero to many in the cannabis industry. Are there some key past moment that made you go down your brave path from rebel to cannabis hero? JC: I thought cannabis would be legal within a few years of publishing my first book in 1983. I was very, very wrong! Like countless others in this industry, I do not know anything else. About 20 years ago, when things were very tough in the cannabis industry, I had the choices to grow in Canada or Switzerland or continue writing. I chose to write because I love cannabis and knew that my information would help grow more marijuana. I am super happy that cannabis is becoming legal and that people are getting out of prison. I feel that I am doing my part to help effect this change. JS: What is important for budtenders to understand about cannabis when talking with patients? JC: The genetics and cannabinoid profile can be inconsistent. Unless flowers and foliage of a specific variety come from the same plant or clones of the same plant the chances of the cannabinoid profile to oscillate. Consistency is one of the biggest problems with cannabis flowers and concentrates. There is marginal standardization in the cannabis world. Couple this fact with many producers and the consistency of the end product fluctuates. For more information about Jorge Cervantes, visit marijuanagrowing.com.